Since Kant, liberal scholars of international relations have hypothesized that greater cross-border contact can be a powerful force for good. The idea is that such contact encourages a sense of shared international community, breaking down artificial barriers separating people into different nations and inhibiting their natural human affinities for one another. This intuitively appealing hypothesis has inspired several famous student exchange programs, which among other potential positive effects are expected to quell nationalist fervors and ward off international conflict. Despite its ubiquity, this hypothesis has rarely been tested in a rigorous way. Does cross-border contact really foster a feeling of community? In a recent study, I used a natural experiment across a sample of American “study abroad” students at 11 colleges in New England, the Midwest and the South to carry out a unique test. The institutional structure of study abroad makes it well-suited for a natural experiment. Students are typically placed in foreign settings for either the fall or spring semester, with the winter break providing a valuable window during which a treatment group of students just returning from a semester abroad can be compared with a control group of students who are about to embark. Since all subjects are predisposed to participate, the design controls for self-selection, and the choice of which semester is a logistical one with no obvious implications. These are significant design improvements over earlier studies that did not control for self-selection or lacked a strong control group. More than 500 students were surveyed on their feelings of international community, perceptions of foreign threat, and levels of nationalism and patriotism, as well as demographics and study abroad program characteristics. As expected, those returning from a semester abroad (the treatment group) were not significantly different either demographically or in terms of program choices from those about to take their semester abroad (the control group). For instance, they selected the same host countries in which to study abroad, especially Spain, France, Italy and the United Kingdom, and females outnumbered males in both groups. All this mirrors the general population of American study abroad students, who are majority female and tend to study abroad most in Western Europe. How about threat perceptions? I asked students to rate how threatening they would consider their study abroad host country if it were to surpass the United States in terms of material power, such as economic growth or military expansion. 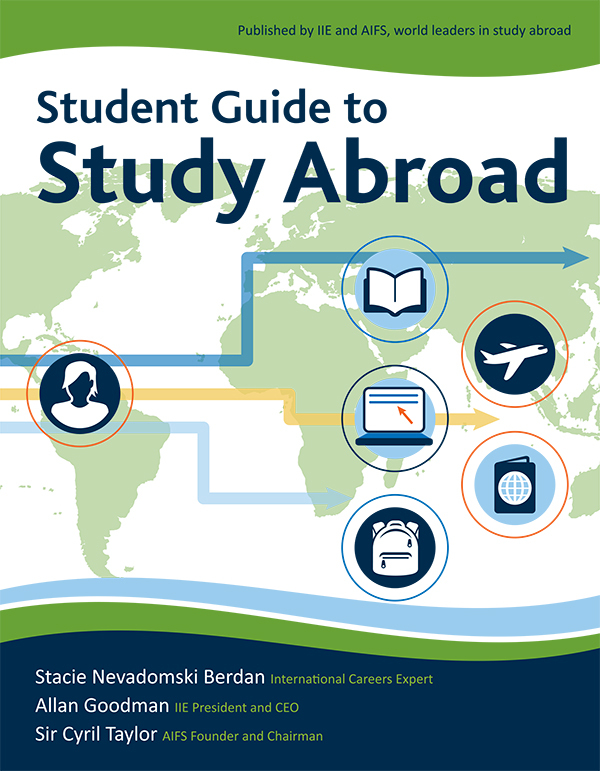 In theory, cross-border contact should mitigate . . . .
A growing number of Americans are seeking to study abroad during their college years, according to data from the Institute of International Education. For the 2012/2013 school year (the most recent year for which numbers are available), 289,000 Americans spent part or all of their most recent year in college overseas. That’s a 400% increase from 20 years ago. There are myriad reasons for this increase, including the skyrocketing cost of a college degree in America. Depending on the country, Americans have a chance of earning their bachelor’s, master’s, or even a PhD for cents on the dollar. In the last year, more than 4,600 American students were enrolled in full degree programs in Germany alone, where college fees for Americans are less than $1,000 a year, compared to $23,410, the average tuition cost per year for a public university in the U.S.
MORE THAN 80% OF EMPLOYERS SAID THEY ACTIVELY SOUGHT OUT GRADUATES WHO HAVE STUDIED ABROAD. But American students aren’t just taking flight to foreign shores to save money on education. In today’s ever-smaller globalized business world, earning your degree overseas can have huge benefits for your career throughout the course of your life. A QS Global Employer Survey Report found that out of 10,000 companies contacted, more than 80% said they actively sought out graduates who have studied abroad. That’s not to say there aren’t some drawbacks to moving abroad for an international education, however. Homesickness and missing out on life experiences with your family and close friends can be challenging for some. The need to learn and write in another language—depending on the country chosen—and unexpected culture shock can also take their toll. The question is, could a degree earned overseas be the right choice for you? We spoke to three current and former American students to find out the reasons they went abroad to earn a degree, and whether they would recommend you do it. MATTHEW KRUGMAN, 18, ORIGINALLY FROM BRECKENRIDGE, COLORADO, IS CURRENTLY EARNING HIS BACHELOR’S DEGREE IN LONDON. In May, Krugman moved to London, where he began his Baking and Pastry degree program at the prestigious Le Cordon Bleu culinary school. Krugman is concurrently earning a business and wine management degree as well. What was the primary reason you decided to earn your degree overseas? The primary reason for wanting to attend Le Cordon Bleu was the caliber of education it offers. Generally, LCB London, Paris, and Sydney are considered the top universities in the world for culinary school, and the option to attend a university that cooks for the likes of queens and has taught chefs like Julia Child was an offer I could not pass up. Another smaller reason for wanting to go overseas is my education would take two years; this would include two culinary degrees and a wine and business degree. To receive this in the United States, I was looking at closer to six years in total, which wasn’t realistic, especially for a field where you have to hop in at a young age. MY DEGREE EARNED OVERSEAS WILL TAKE TWO YEARS. IT’S SIX YEARS IN THE U.S.
Have there been any unexpected benefits of earning your degree overseas? 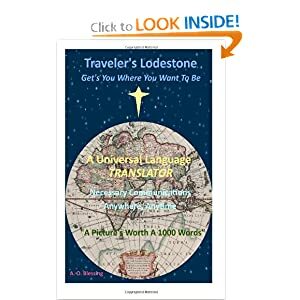 I have found some, including slowly learning different languages. As my school is so diverse—the incoming class had around 90 nationalities—I’ve started to pick up little sayings in different languages as well as able to work on my French and Spanish. Another benefit is that until now, I didn’t realize how much more desirable a person who has studied overseas is for a position back in the States, as I’m already receiving many job offers. Have there been any drawbacks? Do you feel an international degree makes you more attractive to employers? I think an international degree makes me more attractive to prospective employers. International schools are seen as a “higher standard” in my field since it’s where culinary generally came from. I think as well you learn so much more just from being in a different country, and that helps a lot in the job field. EMILIE RONALD, 21, ORIGINALLY FROM BUFFALO, NEW YORK, EARNED A BACHELOR’S DEGREE IN PARIS AND A MASTER’S DEGREE IN LONDON. In 2011, Ronald began the International and Comparative Politics bachelor’s program at the American University of Paris and earned her BA in three years. She followed that degree up with a master’s in international law from the University of London. She earned the master’s in only a year. What was the primary reason you decided to earn your degree overseas? . . . . 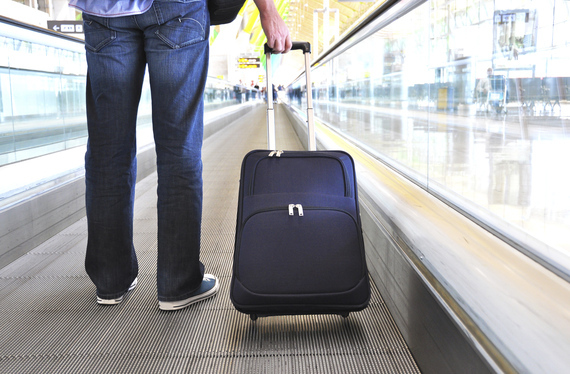 Preparing for a trip can be a laborious task, especially when you’re leaving your country. If you are studying abroad or planning to for the first time, you may have traveling anxiety. What will I do; where will I go; how will I survive? Don’t worry! Here are a few tips that will help you before takeoff. If you’re anything like me, you probably want to pack everything you have in your luggage. Although well-intended (as you can never be too safe), cost and weight won’t permit you to do it. Therefore, you must Consolidate and Eliminate. 1. Do not pack every just-in-case-you-get-bored item. 2. Find 2-3 pairs of comfortable, multi-purpose shoes. 3. Learn how to mix-and-match 4-5 different outfits. 5. Tightly fold clothes and/or buy compression bags. When packing gets boring and the television is no longer entertaining, you will most likely be daydreaming about your trip. Though daydreaming what you could do can be… dreamy, it does not compare to what you will do. So, Stop Daydreaming and Start Planning your adventure. 6. Start planning for the things you will do. 7. Look up the activities your program offers. In the words of Shia LaBeouf, “Just do it!” For a dream that is not actualized is only a fantasy. For those individuals who like to guard themselves by thinking of . . . . When I first considered studying abroad, the options were endless. My university offered countless programs in countries all over the world, and each one promised an exciting and life-changing experience. As an art history major pursuing a curatorial career, however, nothing fit quite right — until I found Sotheby’s Institute of Art. The Institute offers many courses for the art-attuned, but I found the Art Museums, Galleries, and Curating 15-week program unique in the scope of its content and the intensity of its experiential approach. As the title suggests we explored the history of collecting, traditions of museum practice, the myriad roles of a curator, and the functions of modern art museums and galleries within these contexts. The ways in which the course exceeded my expectations made for a world-class educational experience. During the more than sixty visits to London art museums and galleries, we went behind-the-scenes and discovered every conceivable profession therein; from conservation scientists to intellectual property lawyers and everything in between. No art museum-related stone was left unturned. With a new field-visit almost every day (and sometimes more than one! ), the ‘Art Museums, Galleries, and Curating’ course was also an in-depth introduction to the London art scene — a sizable task, considering London remains a booming center of the international art world. 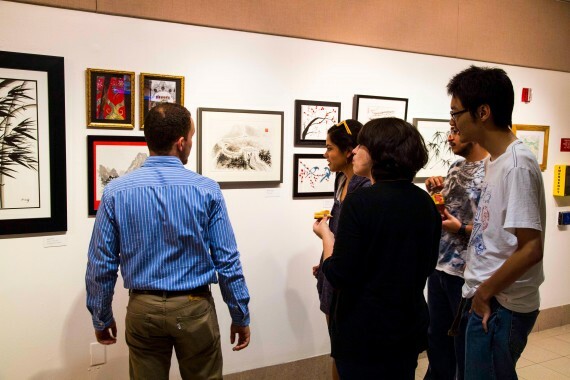 We experienced blockbuster exhibitions at national institutions, enjoyed private tours at pint-sized galleries, and even walked the streets of trendier neighborhoods to soak up the street art. Each visit and viewing experience was enhanced by our learned lens of museum methodology, theory, and historical tradition — a facet of the course that left us acutely aware of our own role in the trajectory of art museum practice. . . . . Studying abroad is the experience of a lifetime. Your view of the world expands, you become more independent, and you learn more than you ever thought possible. It also looks great on a resume. But it can be hard to put everything that you learned into words on paper. Here’s how to explain to employers the benefits of your time abroad and all that you gained from your experience. Going through the study abroad application process requires you to be diligent and persistent. With so many interviews and forms, you need to be self-disciplined to get through all of it. This serves as evidence to employers that you are committed and will see projects through to the end. Plus, dealing with all that paperwork forces you to be organized, a necessary skill to do any job efficiently. There are tons of details you need to carefully plan before you study abroad, from getting a visa to finding a place to live to buying health insurance. All of these things require careful preparation and time management skills in order to get them all done properly and in time, showing employers that you are efficient and detail oriented. Living in another culture can be tough. Moving to a new city or country requires you to adapt to cultural differences and deal with change. It can also test your problem-solving abilities, forcing you to be resourceful and creative in your foreign surroundings. These are skills that many employers look for, since today’s society is constantly evolving and employees need to be able to quickly adjust to new situations in unfamiliar environments and tackle complex issues. We live in a globalized world. By studying abroad and constantly being around people from other countries, you gain valuable intercultural communication skills, particularly if the place where you studied had a language barrier. These skills, whether in English or another language, are incredibly valuable to employers as today’s workforce is incredibly diverse. Doing business or interacting with people from other cultures is a fact of life and being able to communicate effectively makes doing business a lot easier. . . .